HR’s Bilater Hip Resurfacing with Dr.
Jim was told at age 43 that total hip replacement was his only option for pain relief and motion improvement. Luckily he found out about Dr. Rogerson and Birmingham hip resurfacing. 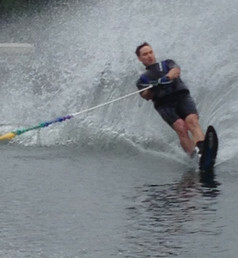 Six months following his BHR Jim is back playing hockey, waterskiing, running and playing golf without any pain!